This Welsh rarebit recipe is always a brunch favorite. Cheese on toast is hard to beat for a quick and delicious meal that will feed the entire family. 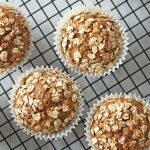 This recipe is easy to make, and it uses widely available ingredients. 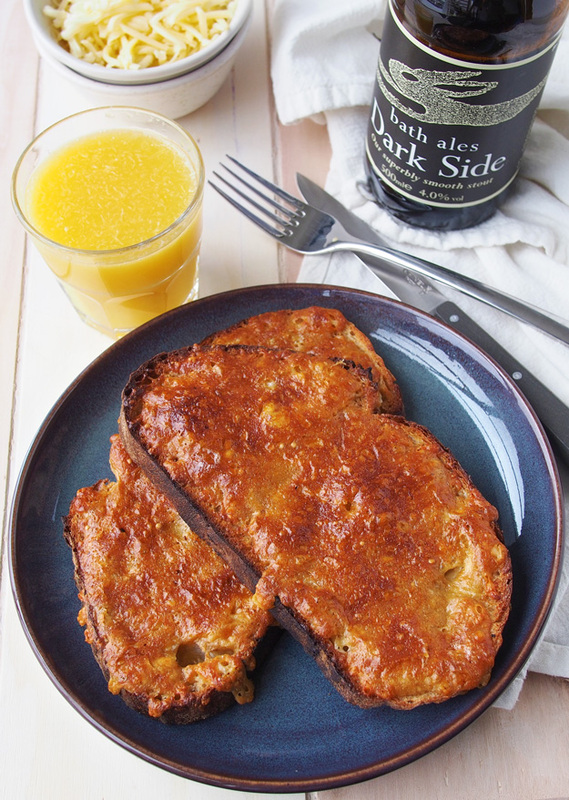 While this simple recipe calls for stout to make it more in line with a traditional Welsh rarebit recipe, for a family favorite version, you can make this easy breakfast without beer. 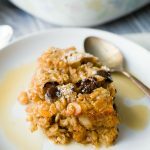 Welsh Rarebit is a specialty recipe for cheese on toast, and it is easy to make, delicious, and incredibly comforting. 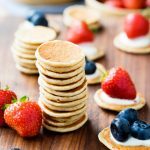 It’s a family favorite, and a popular British breakfast recipe. 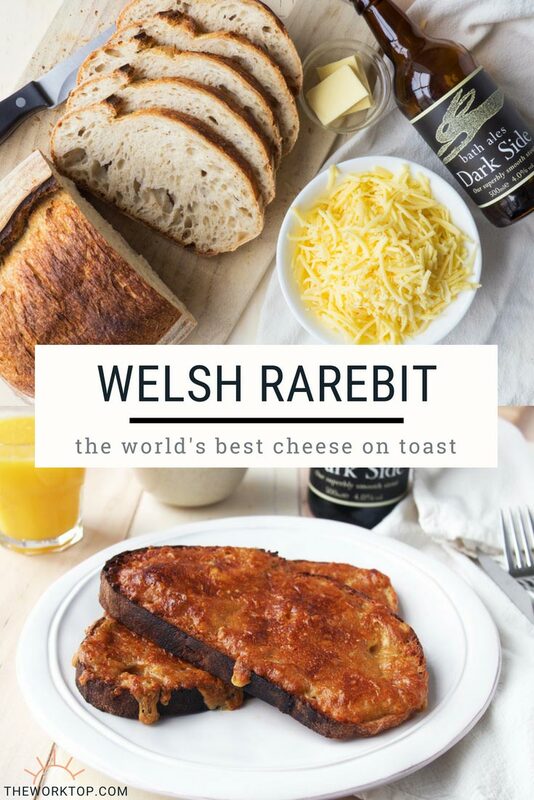 If you love cheese and you love bread, then this Welsh Rarebit recipe needs to be on the top of your list for dishes to try. If this is your first time hearing about this dish, don’t let the name turn you away. 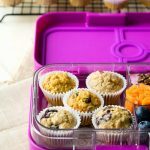 There are some recipes that I always follow to a T, and other recipes that I always treat as guidelines. This simple cheese on toast recipe is definitely one of those recipes that you don’t have to follow exactly. There are endless ways to make Welsh Rarebit once you have the basic idea down. 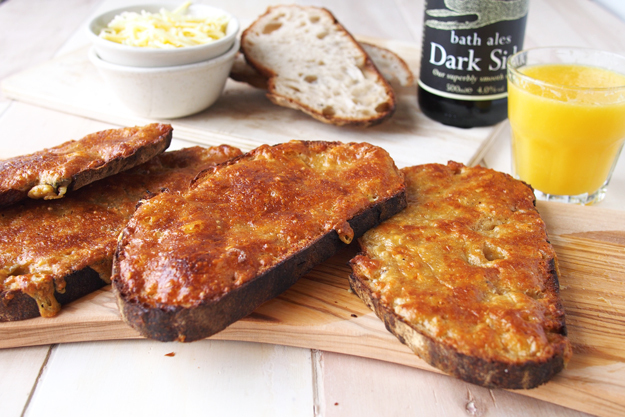 My recipe below is for a easy and simple Welsh Rarebit that is a solid workhorse recipe. 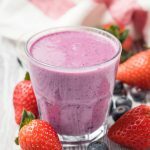 But I really encourage you to play around with the different possible flavors until you end up with a recipe that is perfect for you and that you can call your own. I spent a good while debating whether the cheese or the bread is the most important part of this easy brunch idea, but there’s no right answer to that question. The cheese provides the punch of flavor, but the bread is crucial to the texture of the dish. Let’s start with the cheese. This recipe uses 100% strong Cheddar cheese because it gives the Welsh Rarebit an incredibly rich taste. It’s also a cheese that many stock in their refrigerator, so it’s a great starting point for a cheese on toast recipe. But there are many alternatives you can use. Other hard English cheeses to try are double gloucester, cheshire, red leicester and lancashire. You can mix and match different types of cheeses until you find one that gives you the richness, saltiness and tang that you like. Second, the bread is an incredibly important component of Welsh Rarebit. Bread that is too flimsy (ie. sandwich bread) will end up soggy. A good bread will have a nice crust, and be soft on the inside, but still be able to hold the weight of the cheese. Sourdough breads made with wheat flour or rye flour will give the Welsh Rarebit a heartier texture (my preference). White bread will give you a blank canvas for your cheese mixture. I would stay away from specialty breads though, such as french bread, ciabatta, flat bread. You’ll also need some sort of liquid in your cheese mixture. I prefer stout, but you can use an ale or porter, or some other sort of liquid. 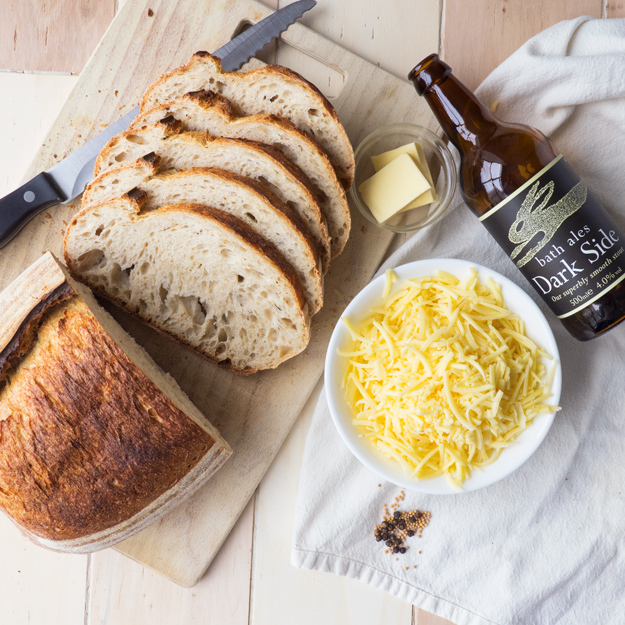 Stout is made from roasted grains, and that process ends up giving the Welsh Rarebit a complex malty taste that you don’t get with ale. However, it is a subtle difference that could be covered up with the different seasonings that you use. You can also make Welsh Rarebit without any beer. You can use white wine if you want a different type of alcohol. 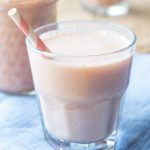 Or if you want a non-alcoholic version, you may replace it with some apple cider (the American version, also called pressed apple juice in the UK). And lastly, you’ll likely want some sort of seasoning in your Welsh Rarebit mixture. I use Worcestershire sauce, mustard seed and black pepper. It’ a very conservative set of seasonings, but you can switch it up if you prefer. You can use a different type of mustard (dijon, english mustard, whatever mustard you have in your refrigerator) or use no mustard. You can leave out the Worcestershire sauce, or use steak sauce or soy sauce instead. Or for a kick, you can even add in some cayenne or paprika, or even tabasco sauce. You’ll nail down your own recipe for Welsh Rarebit at some point, but in the meantime the recipe below will give you a delicious Welsh Rarebit that will make for a scrumptious brunch. Although it is still cheese on toast at the heart of this dish, the stout, Worcestershire sauce, and mustard seeds add a fuller and more complex flavor. Just a warning, if you weren’t addicted to cheese on toast already, you will be after having this Welsh Rarebit! 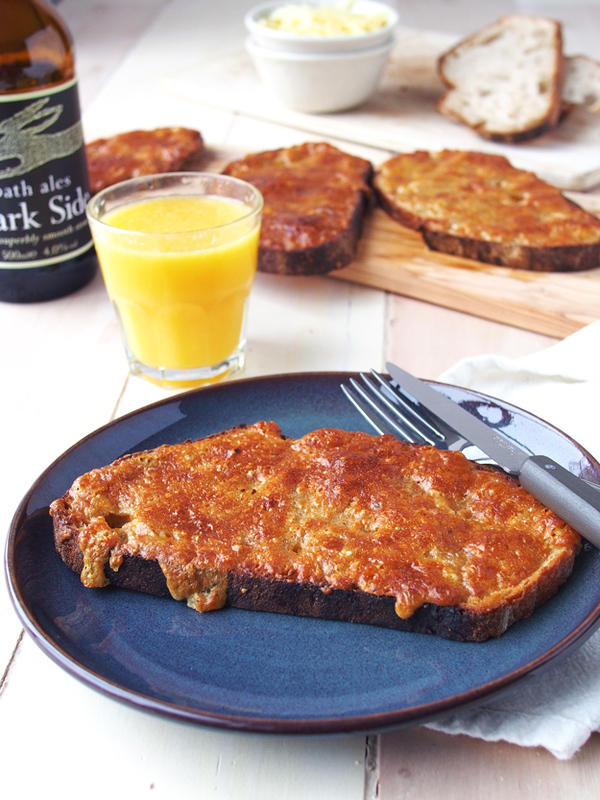 This Welsh rarebit recipe is always a brunch favorite. Cheese on toast is hard to beat for a quick and delicious meal that will feed the entire family. 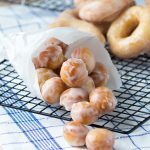 This recipe is easy to make, and it uses widely available ingredients. 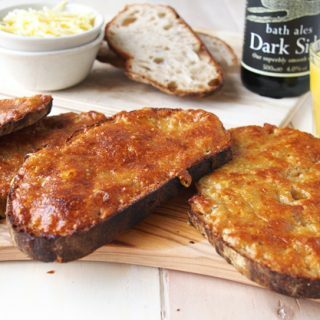 While this simple recipe calls for stout to make it more in line with a traditional Welsh rarebit recipe, for a family favorite version, you can make this Welsh rarebit without beer. In a small saucepan, simmer the stout until it reduces by about half the amount. While the stout is simmering, butter both sides of the bread and lightly grill both sides. When the stout is ready, remove from heat and mix in the Worcestershire, black pepper, mustard seeds, salt (if using) and cheese. Distribute and spread the cheese mixture evenly over the grilled bread. Broil in the oven for about 5 minutes, until the cheese is nicely toasted and browned. Love this recipe for a good homemade Welsh rarebit. Thanks for sharing. I could eat cheese toast all day every day. So glad I found your blog. Breakfast and brunch are the best! Hi Catherine, thanks for the kind words and for stopping by! 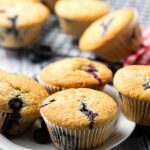 I’m such a sucker for everything breakfast. I’m also pretty addicted to both cheese and bread so you pretty much won me over. Red Leicester is my favorite, do you think it would work well with this? 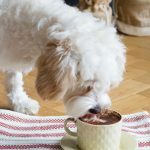 OHH we share a love for breakfast, yiiipppeeee!!! 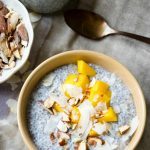 I was never meant to be a breakfast blog but lately I find myself putting so many breakfast recipes up, I can’t help myself! Looking forward to looking around your site for inspiration like this one! Love it! Yay for breakfasts :) I love that French Toast Egg in a Hole recipe you just shared. I’ve always called it toad in a hole for some reason though!